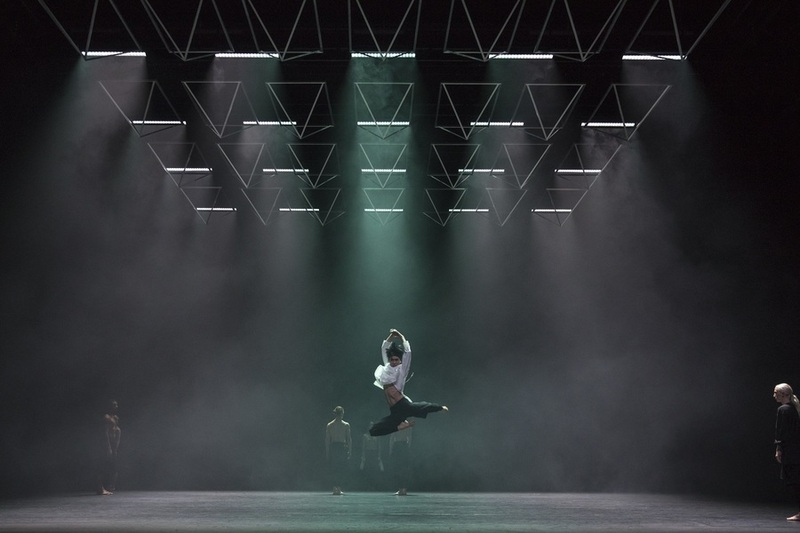 Even keen followers of Wayne McGregor, the prolific Resident Choreographer of the Royal Ballet, may be stunned into silence by his latest work, Autobiography – a challenging, experimental, exploratory, intertextual piece concerned with overturning traditional notions of how we conceptualise our identities and the stories we tell about ourselves. Unhappy with the conceits of traditional autobiographies – the myth of a linear, complete life story – McGregor chooses to approach the subject through biology in keeping with his typical thematic concerns of science and technology. Working with scientists at The Wellcome Trust, McGregor was able to have his own genome sequenced. The 23 chromosomes pairs were then translated into 23 ‘volumes’ – balletically expressed chapters individually named and formed from McGregor’s physical and psychological detritus: memories, photographs, genealogical history, cultural artefacts and influential artists. 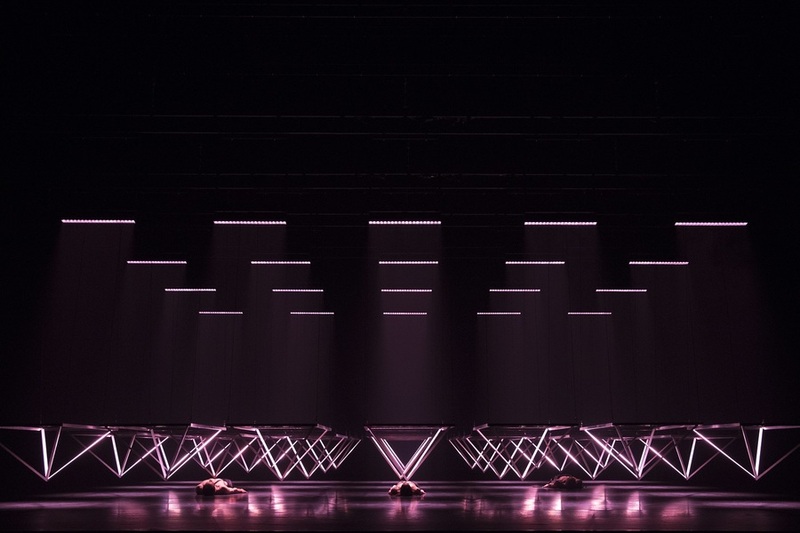 Using a unique algorithm based on the mass data from McGregor’s genetic code, created with the aid of software architect Nick Rothwell, ‘volumes’ are randomly selected for the performance. The code also influences which dancers perform what choreography. In this way, Autobiography is cut up, spliced, has sections deleted and mutates mimicking its genetic origins, with no two performances ever being the same for neither dancer nor audience. The only certainties are the starting (one avatar) and ending (23 choosing) which bookend the randomised code. It’s a high concept piece which requires dancers to know every permutation. Autobiography starts in a deceptively easy to follow fashion, one avatar flashes on a small sign above the stage, a single dancer moves as if he’s coming into being as the title suggests – lengthening his extremities, contracting into himself, discovering contortionist abilities as if testing the boundaries of his body. Composer Jlin’s 1st Overture (Spiritual Atom) evokes an alien new world with its strange percussion and dissonant synths. The sound of triangles, trickling and dripping liquid evokes an elemental world and primordial soup. Jlin’s music is experimental post-house electronica, influenced by juke and footwork, it’s raw yet expertly crafted. At its most traditionally musical, there are still glitches. It’s inherently visceral and can be loud and disorientating, with tracks such as The Abyss of Doubt sampling hysterical screams, manic laughter and shouts of 'They're all going to laugh at you' from Carrie – it isn’t the kind of music audiences expect at a ballet and even seems to offend the more traditionally inclined, occasionally resulting in the odd walkout. It’s understandable that some are overwhelmed. Often Autobiography pushes for sensory overload, complex, kinetic music is matched with groupings and disbursement, couplings and uncouplings, Beckettian movements across and around the stage. Strobe lighting disorientates us. Geometric pyramids descend from above to force dancers to crawl. 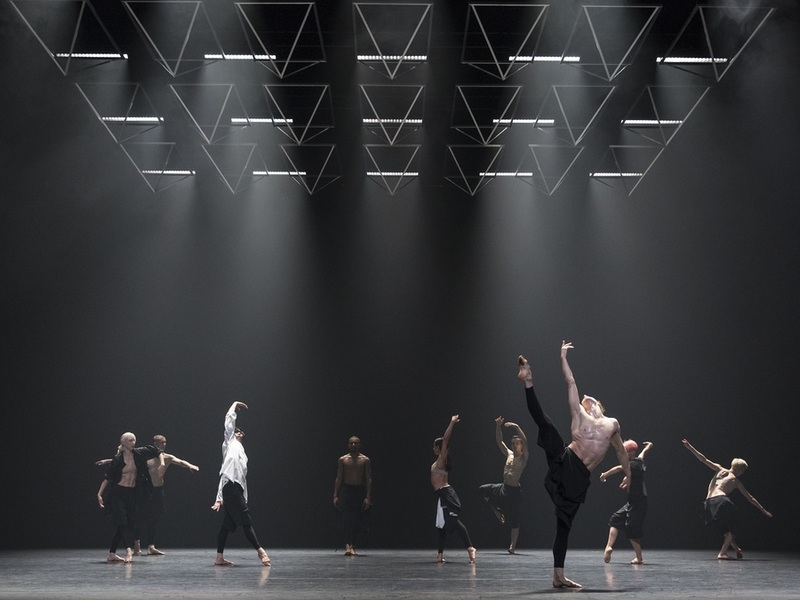 There may well be two to five noteworthy groupings, each dancing differently and simultaneously, an impressive, overwhelming collection of scenes playing out concurrently. Watching requires complete concentration and full immersion. It feels like catching glimpses into intimate, vulnerable moments of others’ lives but we’re limited by our own inability to concentrate on multiple aspects, and Autobiography’s withholding of certain volumes. It’s like unbinding a double helix to only read parts of a coded story, randomly ordered, knowing there’s more to be seen, heard, experienced and affected by. In this way, Autobiography is iconoclastic not only of the institution of ballet but the very idea of narrative itself. The former is an obviously divisive issue but the latter is perhaps the more interesting – do you prefer your narratives expertly structured or chaotic randomness with its potential for radical new meanings? Ultimately, as pleasurable, unique and baffling as a single performance of Autobiography is, it would be intriguing to see how its algorithm and narrative functions over several shows.